Gori Georgia is a city that is located in the Shida Kartli region of Georgia. It is famously known as Josep Vissarionovich Jughashvili’s birthplace, also known as Stalin. Gori is located a few kilometers drive from Uplistsikhe which is an ancient cave city that has been the centre for pagan worship. Gori is very rich in historical wonders and old fortresses. 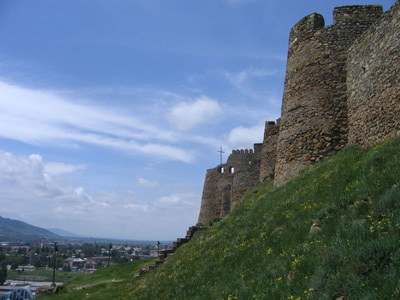 A province rich in history, Gori’s ancient fortress crowns the mountain located in the center of the town. Today it is now a very quiet and peaceful place to visit and has become the centre of a large agricultural region in Georgia. Among its local enterprises are large textile mills, cannery, fruit and vegetable factories and many more. Gori also offers many tourist destinations of which are historical sites. Here are some places to visit when staying in Gori. The Fortress of Gori – this historical fortress is located on top of the hills that surround Gori. It can be viewed even from a distance. Its magnificent vintage beauty and beautiful architectural design is remarkably impressive. Climbing the hill is also a good way to spend the day. Gori Market – Gori offers lots of market where local products and souvenirs can be bought for an incredible low price. One notable market is the one that is located right next to the bus station where lots of dress for women can be bought. Restaurants – there are many restaurants that can be seen in Gori Georgia. Although some of them also cater international cuisines, most of these restaurants serve only local special dishes.